Join us for the story of an unconventional dad’s relationship with his equally offbeat son—complete with fast cars, tall tales, homemade explosives, and a whole lot of fun and trouble in Raising Cubby. Misfit, truant, delinquent. John Robison was never a model child, and he wasn’t a model dad either. Diagnosed with Asperger’s syndrome at the age of forty, he approached fatherhood as a series of logic puzzles and practical jokes. The one thing John couldn’t figure out was what to do when school authorities decided that Cubby was dumb and stubborn—the very same thing he had been told as a child. Did Cubby have Asperger’s too? The answer was unclear. One thing was clear, though: By the time he turned seventeen, Cubby had become a brilliant chemist—smart enough to make military-grade explosives and bring state and federal agents calling. By turns tender, suspenseful, and hilarious, this is more than just the story of raising Cubby. It’s the story of a father and son who grow up together. John Elder Robison lectures widely on autism and neurological differences, and is a member of the Interagency Autism Coordinating Committee of the US Dept. of Health and Human Services. The author of he New York Times bestseller Look Me in the Eye and Be Different, John also serves on committees and review boards for the CDC, the National Institutes of Health, and Autism Speaks. 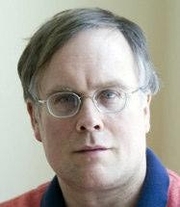 John Elder Robison is currently considered a "single author." If one or more works are by a distinct, homonymous authors, go ahead and split the author. John Elder Robison is composed of 4 names. You can examine and separate out names.